Love comes in many forms: passionate, platonic, selfish, patient, etc. Love can also cause a disconnect between the heart and mind; we can understand all the irrationality of our actions and feelings, yet our emotions take us elsewhere. Young Do knows that Tan and Eun Sang love each other, yet he can’t just make his feelings disappear at the snap of their fingers. Love hurts because it desires (see bolded verse in poem above). It desires to be recognized, it desires to have it be returned, it desire companionship. 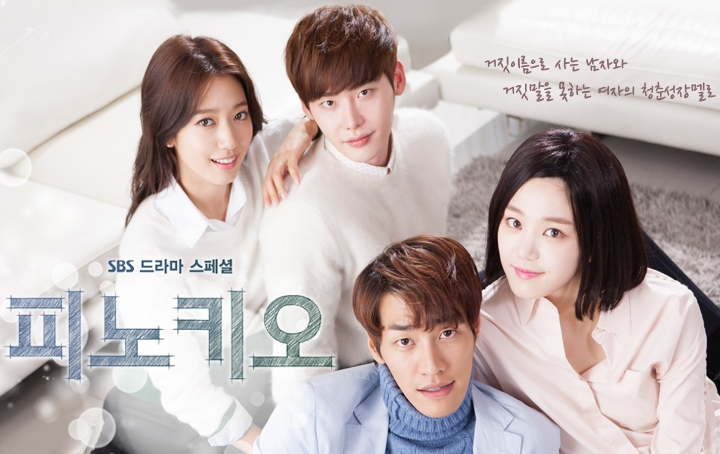 Love hurts- for Tan, Eun Sang, and Young Do. It hurts for Tan and Eun Sang as they both desire each other but also know that their love brings the other troubles. It hurts for Young Do because the person he wants doesn’t reciprocate those feelings back. Love for these three is a battle not just with the outside world, but with their own selves. 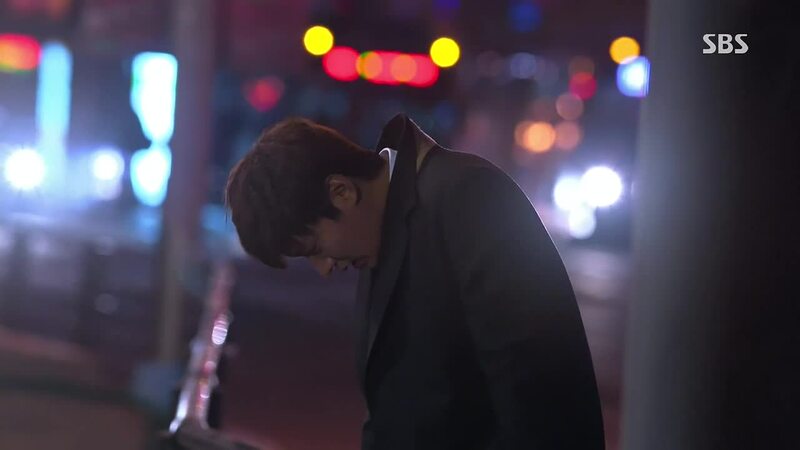 Tan walks the streets calling Eun Sang, but the operator is saying the phone number doesn’t exist. Tan weeps, going numb from the pain as he remembers Eun Sang saying bye to him with a smile at the apartment. Tan arrives home and goes to his dad. 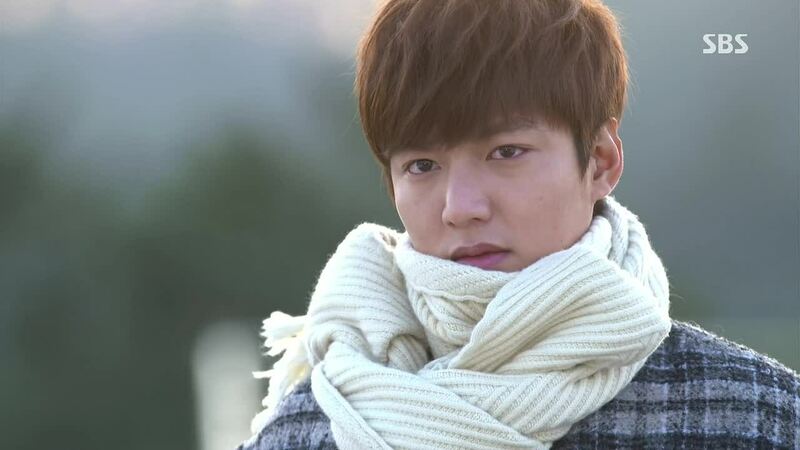 He tells him that Eun Sang is gone; he can’t find her. He demands to know what his dad did- where did he send her? Dad says it is all Tan’s fault. He should not have let Eun Sang even look at him from the beginning. Tan replies that he is the one that looked at Eun Sang. He is the one that begged her. Why didn’t dad send him away, then? Was it because he is insurance for his brother? Dad replies that all he did was advise her to live according to standards that befit her. He adds that Eun Sang’s withdrawal will be made official. Tan tells him not to, but Dad refuses, warning Tan to not look for her. The moment he finds her, her life will really be ruined. CY tells his dad about Tan looking for Eun Sang like crazy and her phone number not working. Yoon informs CY that Eun Sang left and he helped her. CY, shocked, asks where. Dad replies he doesn’t know where; all he did was lend her help to be able to move and settle. Eun Sang said she will call once she settles down. 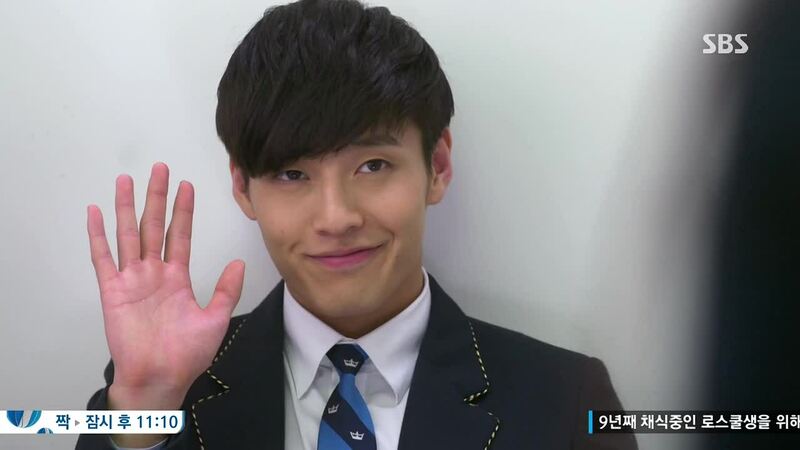 Next day at school, kids point out that Eun Sang is absent today. Bo Na is worried, fearing that maybe Rachel bullied Eun Sang. Rachel gets up to leave then, when Tan bursts in to the classroom. He immediately goes to CY to ask if he got a call from Eun Sang. CY tells Tan to not ask him about Eun Sang, angry that this all seems to be because of Tan. YD bursts into the classroom about to ask CY the same thing, but CY cuts him off to stop him. He leaves with BN. YD kicks out everyone in the classroom to talk to Tan. Before he leaves, MS warns Tan and YD against fighting. He is such a cute friend. Tan speaks with JS. He doesn’t want her to make Eun Sang’s withdrawal official. JS asks if he is asking her for a favor. He says no, he is making a deal with her- a give and take. There will be a day when JS will need him in the future. YD is looking through records of the broadcasting club for Eun Sang’s information. HS comes in, and YD tells him that he is investigating. Before he can explain for who, Tan comes in too, asking HS to look up if there is any country departure record for Eun Sang. He gives him a copy of her passport. Esther is sitting with a few parents and the teacher. One parent congratulates Esther on her upcoming nuptials, but another says something about Zeus Hotel about to be investigated by prosecutors. Seems it is the first time Esther heard about this. She tries to find out more from the teacher. Yoon has a new office now at Jeguk. Won comes into the office with a nameplate for him that says Vice President- Yoon Jae Ho. Won comments that Yoon is now on his side. They shake hands. Won and Yoon look pleased. And this is a partnership I’ve been waiting for! Tan is asking his house security people for the CCTV records. Guy say they must report to CEO about this. Tan says go ahead. Tan looks through the CCTV recordings. He sees the moving truck. Hyo Shin calls. 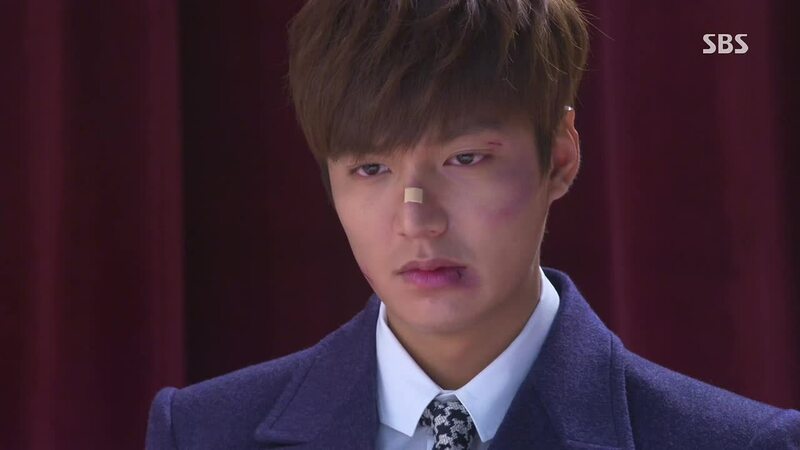 He found out that Eun Sang did not leave the country, nor did she even report her passport stolen. 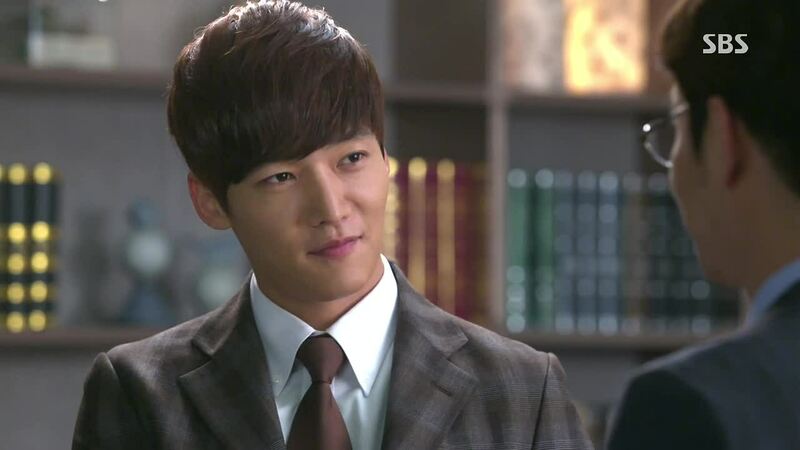 Tan is relieved to learn that Eun Sang is at least in the country. He asks if HS got help from his dad, and HS replies he did this without his dad’s knowledge. Tan thanks HS. Tan calls YD to tell him the news about Eun Sang. YD comments that Tan is sharing this information willingly, so Tan explains it’s because it’s better to have two people than one looking for her. YD is talking to him about when Tan will pay him back for helping him escape the house before, but Tan gets distracted, seeing Eun Sang on the CCTV recording. She had waved bye to him before she left. With this information, YD forms a plan. He fills out a membership form online for Zeus Hotel, pretending to be Eun Sang with the ID “YDLOVER.” Pfft! He writes a message (pretending to be ES) to the site administrator, saying that YD likes her. She tried to not fall for him, but she couldn’t. YD then calls his lawyer. 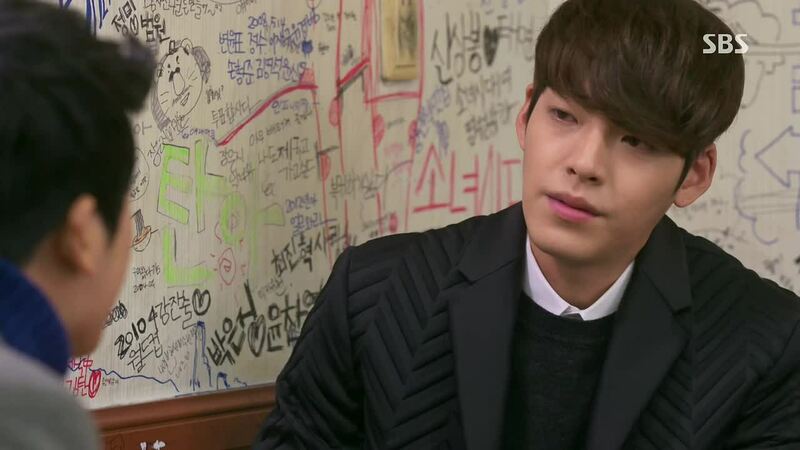 YD is sitting at the ddukbokki place again, looking at the message that Eun Sang wrote on the wall before. MS comes in. 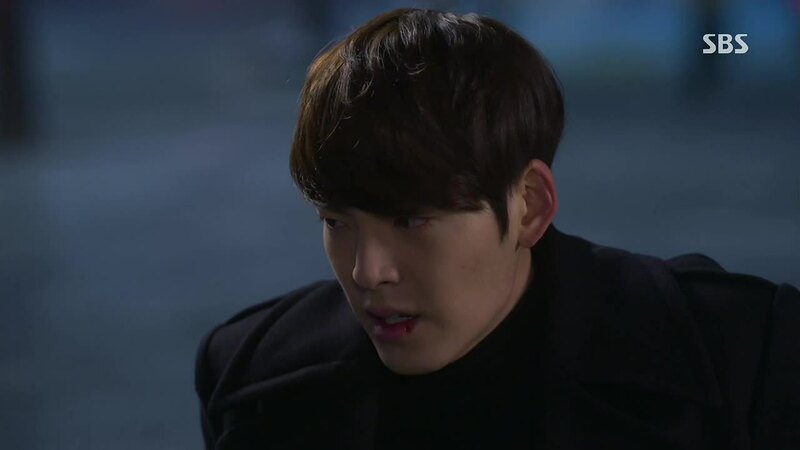 He starts to whisper about how he heard that Eun Sang is not just absent, but she disappeared. He’s about to ramble off some fantastical story about Eun Sang, but YD just tells him to eat. MS obeys. Aww, MS is making me laugh in this stressful episode! Tan runs into MS in front of his house. Tan asks for the memory card of the black box of MS’s car. Tan realizes something when he sees MS using Kakao Talk (a free texting/chat service). He goes to the cellphone place to reopen Eun Sang’s previous phone number. Unfortunately, it’s being used by someone else now. Tan buys that number from that person. Using that number, he is able to log into Eun Sang’s Kakao account. 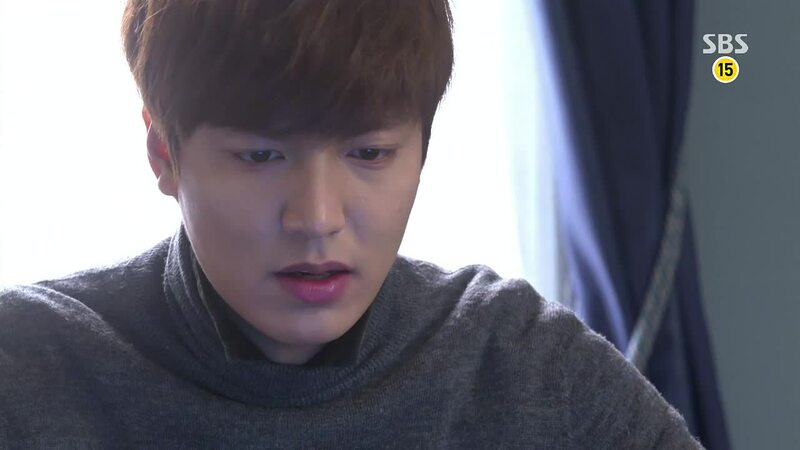 He sees YD’s message to Eun Sang- “Where are you, Cha Eun Sang? I want to see you. I’m just chattering since the number doesn’t exist.” Exasperated, Tan calls YD, and YD seeing “Cha Eun Sang” as the ID, gets all excited. His hopes are immediately dashed when he hears Tan on the other side. Tan: “Do you want to die?” YD: “You pick up Cha Eun Sang’s call even when Cha Eun Sang isn’t here.” Tan asks if YD found out anything, and YD tells him that he has set a trap and is waiting. YD calls his lawyer. He asks if the victim has been found yet. I guess YD reported Eun Sang as a victim of identity theft Lawyer says he hasn’t been able to find out anything about Eun Sang and her mom yet. Tan is looking at all the car black box recordings. No luck in seeing anything. Tan then gets a text message through Eun Sang’s number about a credit card use. Eun Sang has used her credit card (and you can get text messages for every credit card use). Tan sees it has been used at a store using a certain money distribution company, so he starts to call every store that uses that company. He makes calls all night long, but so far, nothing. Finally in the morning, bingo! He found a store that says someone make a purchase of that amount he got texted for, and it was a a young high school girl who used the card. Tan says he will go immediately. Darn, Tan’s dad also finds out from his spy that Eun Sang didn’t leave the country (thanks to Yoon), and is located at a seaside town. 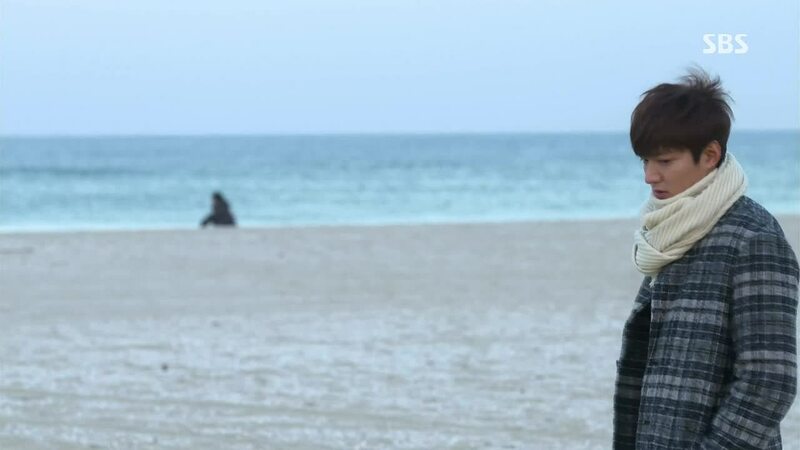 Eun Sang and her mom walk the beach. 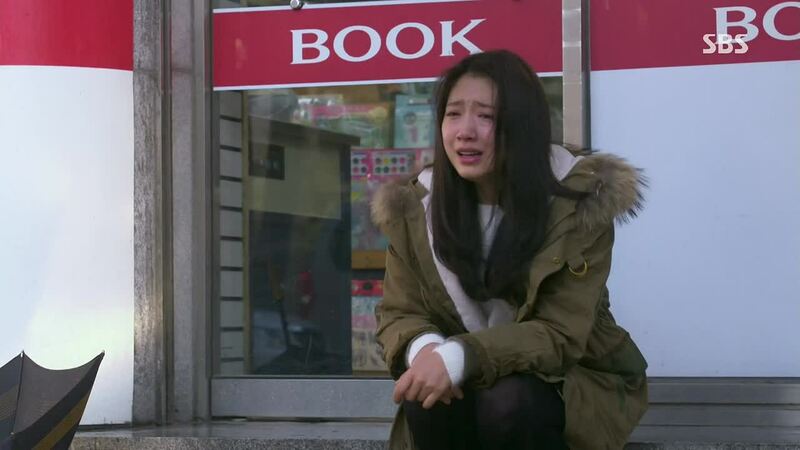 Eun Sang is working in a bookstore now. The owner says business has gotten better now that Eun Sang is here- she is a bundle of fortune. Owner asks why Eun Sang is not going to school. Eun Sang says she just plans to take the GED. She is also hesitant to reveal what school she went to in Seoul. Eun Sang’s mom is looking for a place to work, but people are not hiring her since she can’t speak. Eun Sang is comforting her mom about her not being able to get a job. Eun Sang says she will get a cellphone tomorrow so people can call them if they change their mind about hiring mom. She sends er mom home first so she can buy rubber gloves. 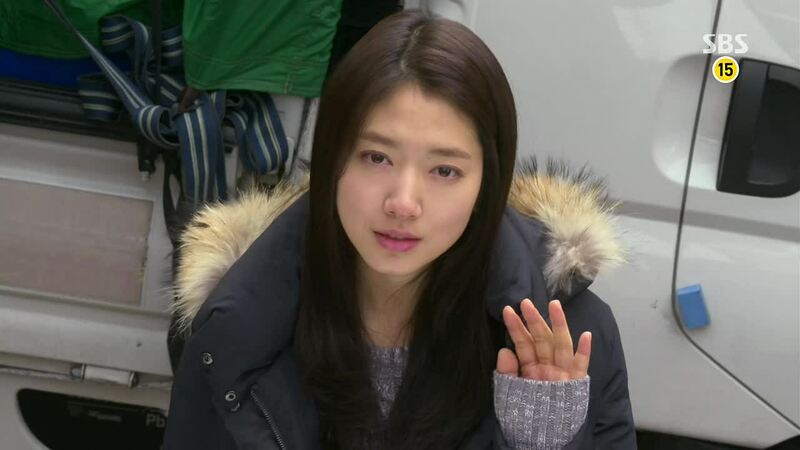 Alone, Eun Sang cries, worried and tired from trying to keep on a bright face. While in the car on his way to the location he found, Tan remembers back to all happy moments with Eun Sang. At the supermarket, Tan shows the owner Eun Sang’s picture to confirm if she is the girl that made the purchase last night. Yes, it is her! He gives a huge happy sigh of relief. Tan then starts to search around the neighborhood for Eun Sang. At home, Eun Sang unpacks. She takes out her Jeguk High uniform. She hangs it outside on the laundry line to air. She remembers back to the happy moments with Tan through the clothes she wore on the day he kissed her forehead and when he gave her that back hug saying he will help her cross the threshold. She also hangs the “I Love California” t-shirt, remembering back to when they first met. From afar, Tan recognizes the California shirt hanging on the laundry line. He stares hard, waiting to see who the figure is behind the shirt. Eun Sang emerges from behind the fluttering clothing. He sees her, and time seems to stop while hundreds of different thoughts run through his head. Before she can see him as she walks away from her house, however, he turns away. 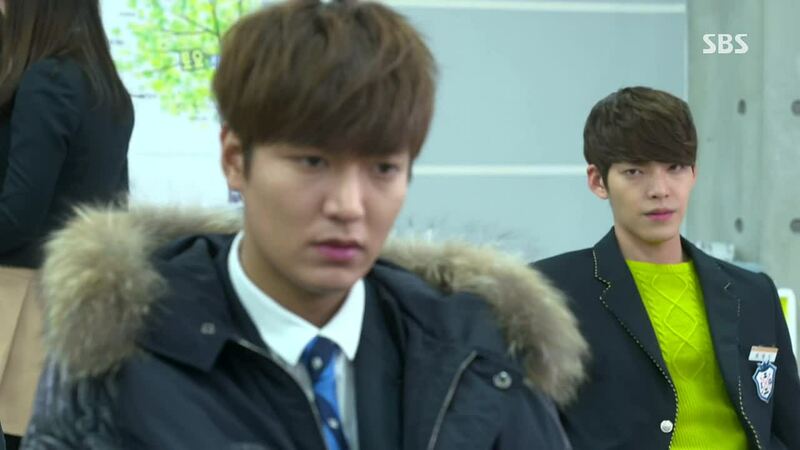 Eun Sang continues to walk away, unaware of Tan’s presence. Eun Sang walks to the beach. He follows her there, but stays far from her, just looking at her sitting figure from afar. 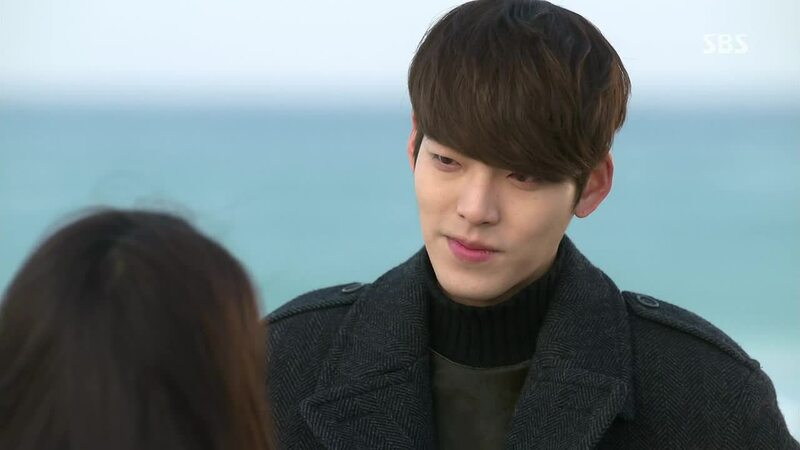 Eun Sang sighs as she sits on the shore, and Tan looks at her with tears in his eyes. He starts to take a step towards her, but he stops. Feet heavy, he turns arounds and walks away. 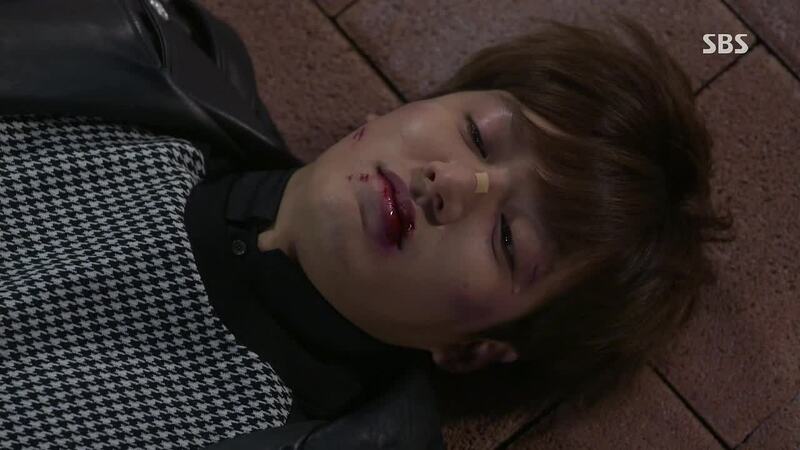 Tan has returned home, without Eun Sang, and he lies in bed fully clothed. Eun Sang gets a call from the Gangnam Police. 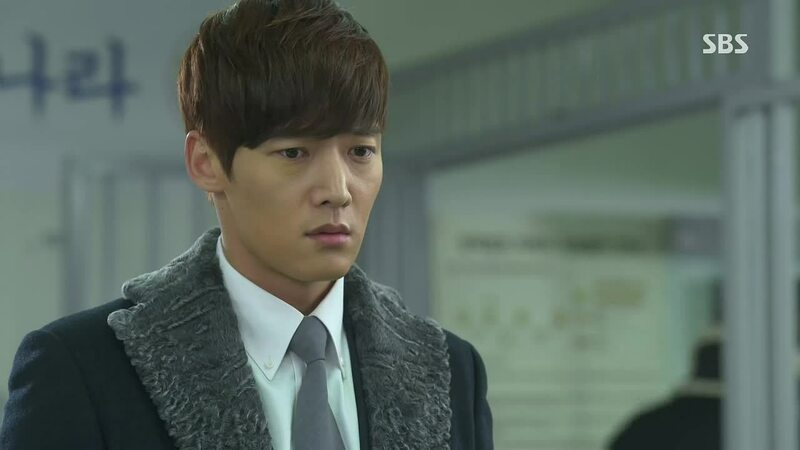 YD gets a call too, from his lawyer or the police, saying they found Eun Sang. YD says he will go down to where she is. YD and ES stroll the beach. YD wonders why she is not getting mad at him. ES is silent. YD says he knows there is someone else she would be happy to see, but he’s not going to talk about him. But then he talks about it, asking if Tan has already come. ES doesn’t answer that question; she just tells YD to go back. YD says he is happy; he has seen her safe, her and Tan are broken up, and they are walking together on the beach. ES says she was scared when she saw YD; if he found her that easily, how many people have already seen her and left? Young Do replies that he is the least scary of the people who would come to see her. 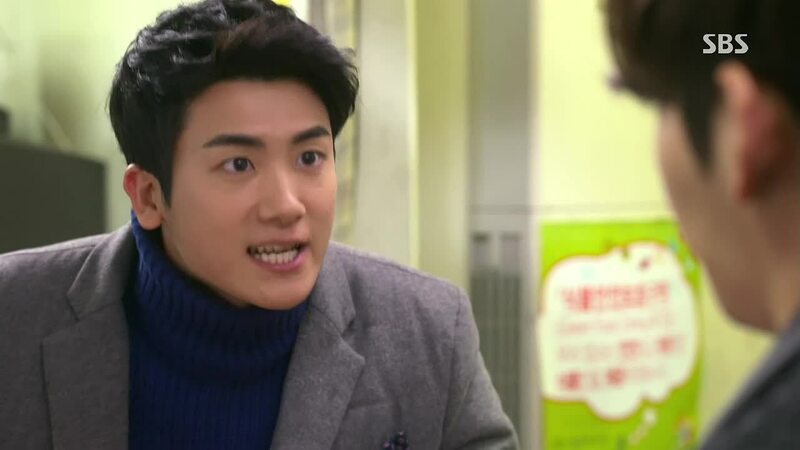 Back in Seoul, YD’s dad asks who is Cha Eun Sang; there was chaos on the Zeus Hotel website. YD can’t look his father in the eye, yet he bravely replies, “The girl I like.” He tells his dad that he made up that message- “She disappeared overnight, and that is the only way I can find her.” Dad finds it unbelievable that YD did this for just a girl when he is to become the face of Zeus in the future. YD replies, “If I couldn’t find her, I thought I would go crazy.” He also says dad has no right to say anything to him about whether he can see Eun Sang or not; he can interfere in anything else in his life, but not in issues with women. Dad agrees, and he adds that Young Do can never beat him in a straight out fight, but he has finally learned that to make a deal is better. Young Do, his dad, Rachel, and her mom have dinner together. 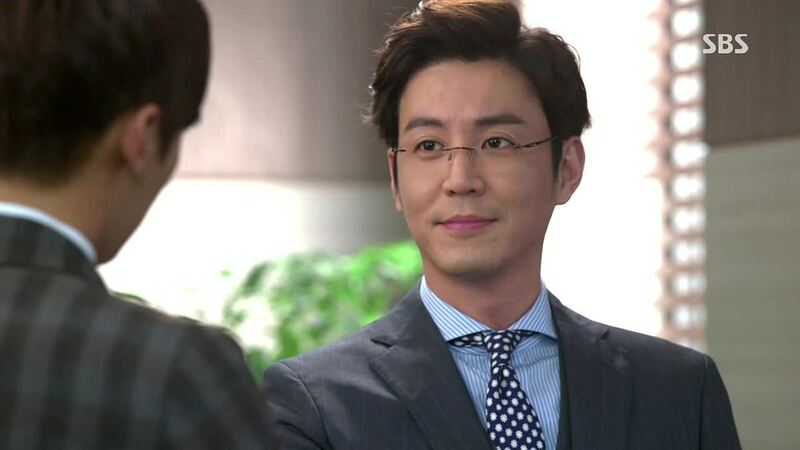 During the dinner, YD’s dad gets a call from the prosecutor’s office about the investigations into Zeus. Dad gets angry that the prosecutor is daring to touch Zeus. Off the phone, dad says to Esther that he wants the wedding to be moved up. Esther says she doesn’t want to go through with the wedding anymore. She heard some things; this is only the beginning of troubles for Zeus. Esther says they will talk tomorrow without the kids. She leaves with R.
Outside, R asks if Zeus Hotel is going to be ruined. Esther reassures her daughter that a chaebol like Zeus can’t be, but she is just backing out because she doesn’t want to get involved. R says she is relieved, so Esther asks if R developed sympathy for Young Do. R replies that YD was the only who understands how miserable she was because of her mom. Tan is at the empty apartment again. 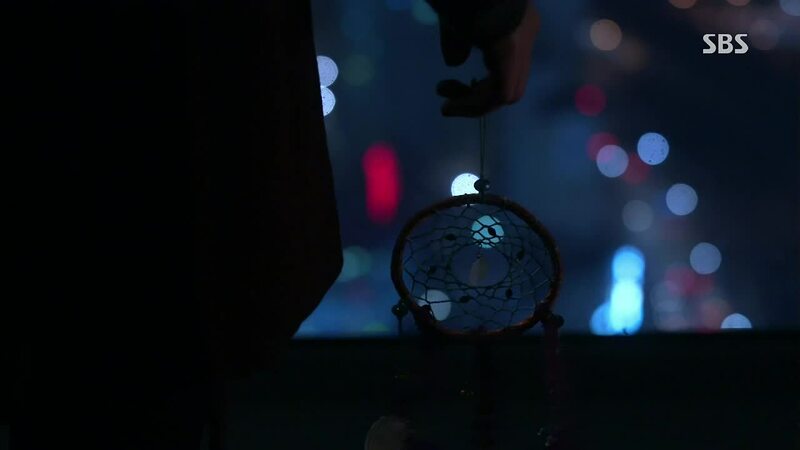 He stares at the dream catcher and remembers Eun Sang’s words- “They say only pretty dreams go through the hole.” He takes down the dream catcher. Tan has come to see Won at his office. Tan announces he will do everything his brother wanted- go to U.S., give up all his stocks, never come back- “Just save Eun Sang from dad and me.” Tan explains he ruined everything for Eun Sang. “Because I liked her, I pushed her to the edge of a cliff. Her house, school, friends, and the future she hoped for- I ruined it all.” Tan asks angrily, “I tried my best to be her side, but why is this the only way to protect her? 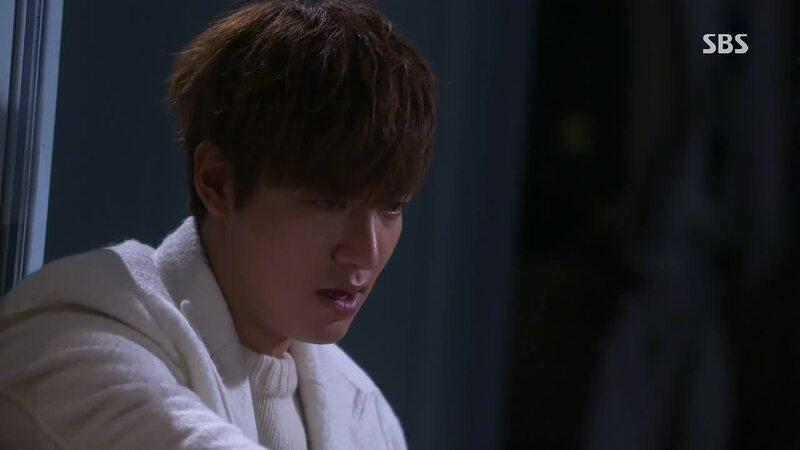 Why is leaving the solution?” He reiterates that he is offering Won the chance to take everything he can from Tan; in return, he has to help Eun Sang return to where she was before. Won asks if it is really okay that Tan won’t be able to see her anymore. Tan replies that he will go see her one more time. It’s raining. ES locks up the bookstore she is working in and stands under the awning. She doesn’t have an umbrella. 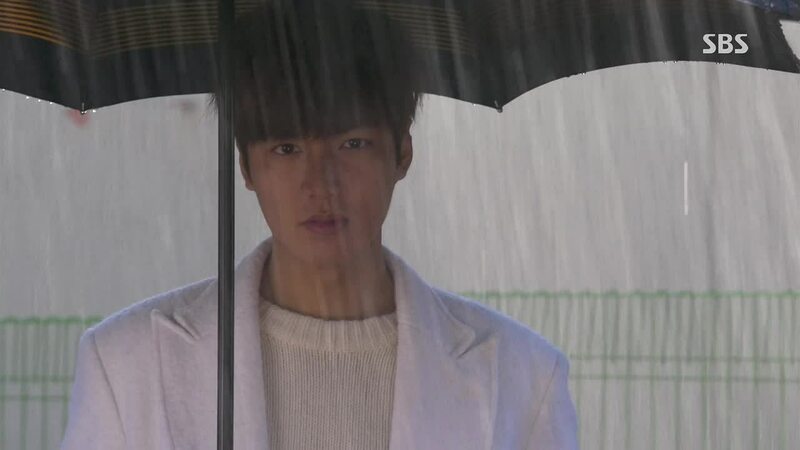 As Eun Sang peers out into the rain, she sees Tan across the street, staring at her with intense eyes underneath his umbrella. Tears immediately well in her eyes as he starts to slowly walk toward her. Once he has reached her, Eun Sang yells, “If you come here, what am I supposed to do?” Tan just says a quiet and low, “I’m sorry.” Eun Sang tells him to leave, then; she ran away from him, but why has he come to find her? Tan once again apologizes- he will return everything back to the way it was. He will return her to the life she had before she met him. ES struggles to hold her tears in as she replies that he doesn’t need to; she doesn’t want to go back. What Tan needs to do is not make her run away to another city. If he comes again, she needs to leave again. Tan asks, “By chance, have I been a bother to you from the moment we met till now?” ES hardens her face as she replies, “Yes.” Tan: “I see.” He says his final goodbye, “I won’t come anymore. I’m sorry for asking you to hold my hand, to be courageous. 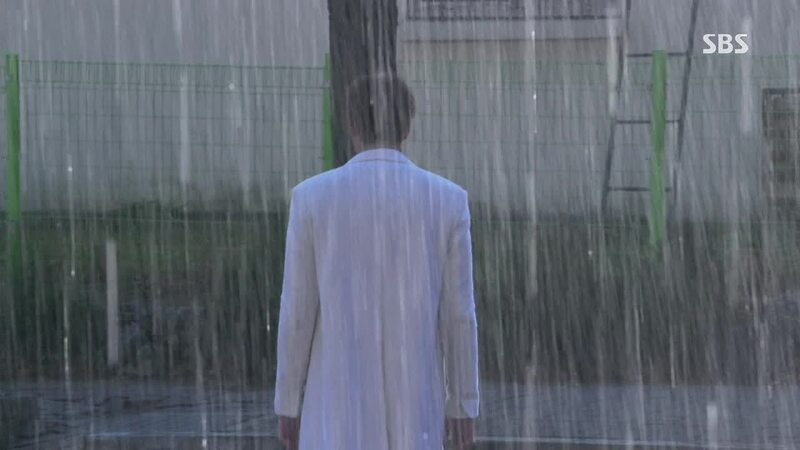 Bye, Cha Eun Sang.” Tan hands ES his umbrella and walks away, getting soaked by the rain. Eun Sang drops the umbrella and sobs. KA worries about Tan, trying to help him dry off, but Tan won’t let her. He just goes into his room, locking it. Outside, she can hear Tan wrecking his room in anger. Inside his room, Tan sits in the dark, his hand bloody, tears falling, and eyes glaring. He looks dangerously unstable. Tan sits in a daze in the classroom. YD looks at Tan from behind. The bell rings, and Tan gets up to leave. HJ comes in, telling him to sit, but Tan doesn’t even seem to hear her. I can’t tell if Tan even realizes what he is doing. Separately, HJ asks HS if something is up with Tan these days. HS asked if that it what she wants to talk about; she saw him kiss someone, and he did it for her to see, so she should ask about that. HJ just says HS must have found someone he likes. HS replies that she knows who he likes, so HJ nervously asks for them to return back to Tan. HS is curious why HJ seems so concerned about Tan. HJ replies that Tan is a brother of someone she knows. HS realizes that HJ had or had something going on with Won. HJ denies it too fast, and HS doesn’t believe her. He leaves telling her to ask her boyfriend about Tan. Tan sits in an empty theater. He stands in front of the dream catcher store, now out of business. Later at night, he lies in his bed once again fully clothed, tears falling silently out of the edges of his closed eyes. Another day, dad’s spy comes into house. Tan knocks the envelope from the spy’s hands, and out falls pictures of ES. Spy says the chairman wanted to know where ES was. Won has a meeting with the woman his dad and JS is trying to set him up with. Both have no interest in each; the woman has a boyfriend, in fact. Won gets up to leave when he receives a phone call from the police. Won arrives at the police station. Tan is there for driving without a license and speeding. Won yells at Tan, “How is this type of rebellion going to be any benefit to you? Tan scoffs. “Rebellion? What a leisurely description.” He asks if Won isn’t grateful that he is living the way he wanted. “There is no one in the family to be of danger to you. Ah, we’re not family.” He tells Won to take care of this. Who knows? Won might need Tan again to be on his side. Tan brushes coldly past Won. Won informs dad about Tan. He says Tan is breaking apart after trying to endure while pretending to be an adult. Dad complains that Tan is not thinking about becoming stronger before falling apart. Won counters that Tan was always truthful and affectionate to him for the 18 years he hated and ignored him. “You can’t imagine that strength. But now that kid is breaking apart! Don’t you feel anything?” He asks if Dad kicked Eun Sang out, and Dad yells that if Won had not also been involved with HJ, he wouldn’t have interfered with Tan. But with both sons like that, how could he not interfere? What about business? Won asks sadly if Dad can’t just trust them. But dad is deaf to this. He just wants Won to marry that woman he met earlier- she is the granddaughter in a large telecommunications company. R is at the nurse’s office, with a headache. HS is there too. He smiles and waves to her. R gets a little flustered. She hides. They text. R wants HS to act like nothing happened (the kiss). HS agrees. R asks what HS will do from now on without taking the examination. HS says he will be able to get into film school just with his previous awards creds. R gets flustered again looking at HS when he smiles. Aww, these two are growing on me as a potential couple. YD, MS, CY, and BN are at the studio. Cuteness as usual as MS is able to get CY jealous when he threatens to steal BN from CY. BN also asks if it is okay to just leave Tan like that- his face is a wreck every day. YD looks worried. It’s Jeguk Construction’s founding anniversary meeting. Tan sits there at the meeting totally out of it, while his dad is giving speech. Won and Yoon him a give worried look, while everyone in the audience whispers. YD is heading over to a club, while on the phone. 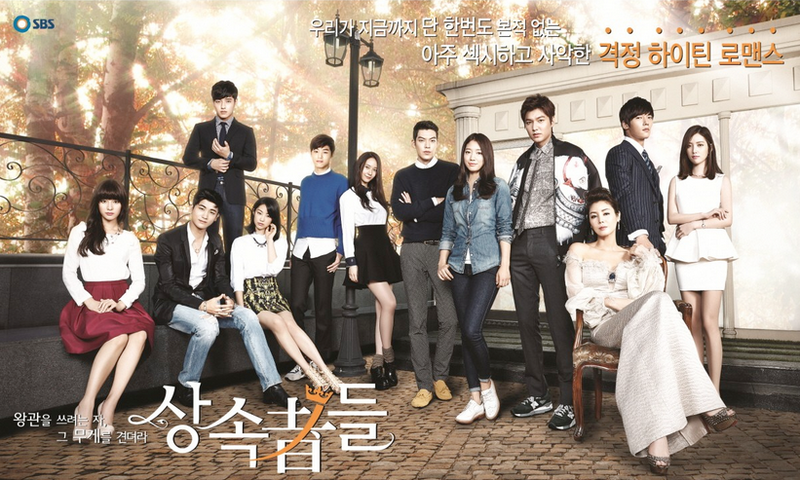 Someone on the phone, probably MS, says he saw Kim Tan. That is when YD spots him too. He sees Tan stumbling out of a club, getting into a fight with a passerby. 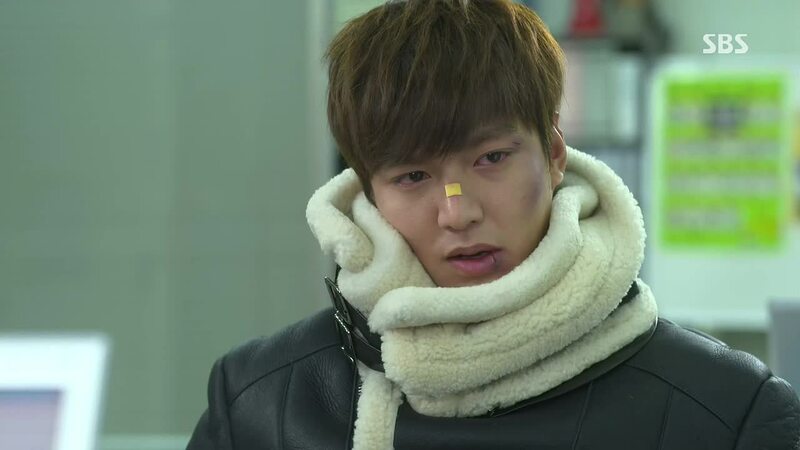 Eun Sang: I still like Tan. Tan’s Dad: Why does a young thing like you have no fear? Eun Sang: Since you ordered me to not see him, I won’t. Tan: When am I going to the U.S.? Won: Nothing will change in this house even if you act like that! YD: (She/he?) is at the hospital in front of the school. Go quick! Tan: You threw away mom. I will take responsibility for mom now. Tan’s Dad: How will you take responsibility for your mom? Tan: Parting with you, dad. YD: Bye. Let’s not see each other anymore. I’m dumping you right now. 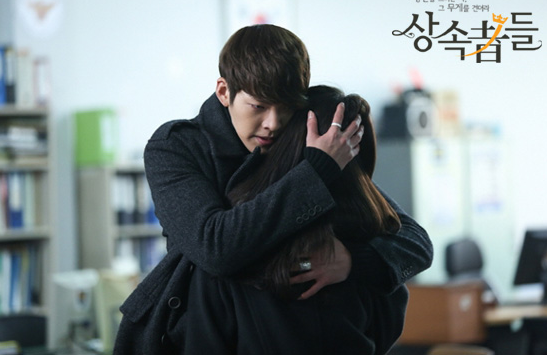 Eun Sang: Will I be able to forget the us who became blinded by each other? Eun Sang: Hi, Kim Tan. Tan: Is that really you? What a stressful episode. There were not enough laughs and cute from our side characters, which, unfortunately, seems to be what they are used for mostly in this drama. I knew with so many side characters it was very likely we won’t see much development of their stories, and at episode 17, I think it’s a safe bet to say that we won’t be seeing anything more from them other than the little distractions they offer. With the episode so heavy on the angst, it was hard to watch and to re-write the recap knowing where this was all leading to in the end. Tan’s last words to Young Do was upsetting. Initially because I hated the way he phrased it- “You can have her”- like Eun Sang is something you can just give back and forth- and then because it was just a stupid thing to say. I wanted to shake Tan or give him a good punch like Young Do did. 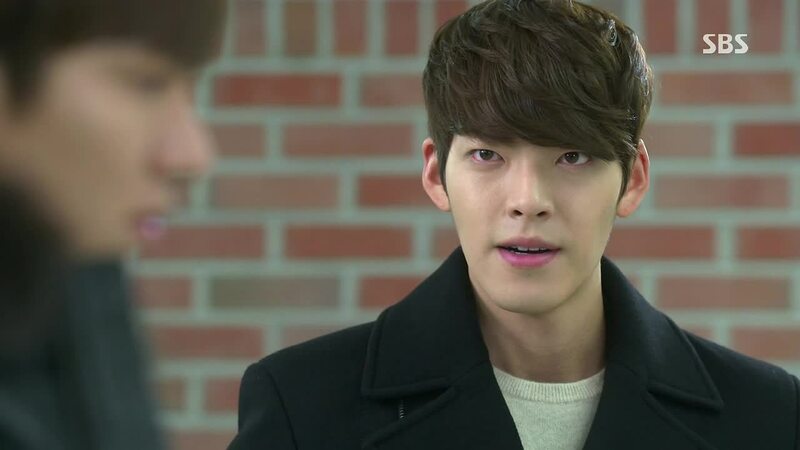 What Tan means is that he is letting Eun Sang go, and that he won’t offer any resistance to Young Do trying to make Eun Sang happy. But instead of having Tan say that, the writer just condenses it into the most short and hurtful way she can write his line- “You can have her.” These words just don’t cut Eun Sang (if she were there to hear it) and the viewers, but Tan too. It cuts him up inside to say it. It’s the worst way to express his rage and despair- he doesn’t mean it because it will be painful for him to see her with someone else, but he can’t say he will be by her side either. It’s the worst and most idiotic way to express his emotions right now, and I think Young Do should give him another punch for saying that in the next episode. Tan, Tan, Tan! Why do you break my heart so? 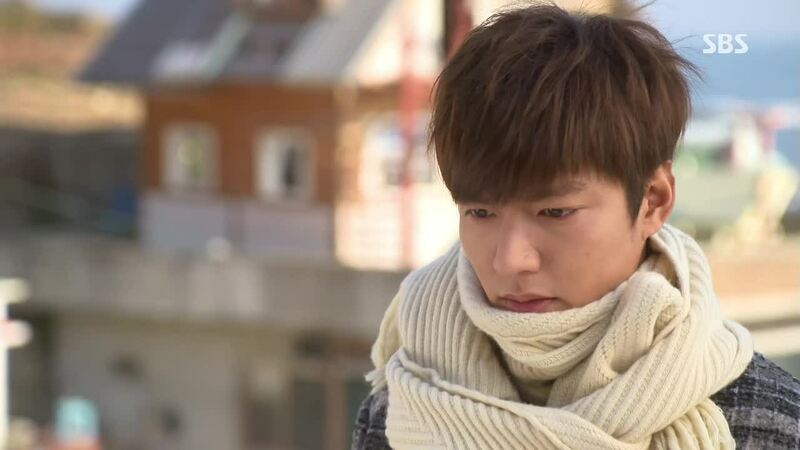 It really hurt to see Tan turn away when he first saw Eun Sang emerging from behind the clothes. Seeing her like that, knowing why she is there hiding from him, because of him, because he pushed her and pushed her. At that time, he had all the confidence that he was doing the right thing by asking her to be true to her feelings too, but now he sees his actions only as foolishness and harmful to Eun Sang. 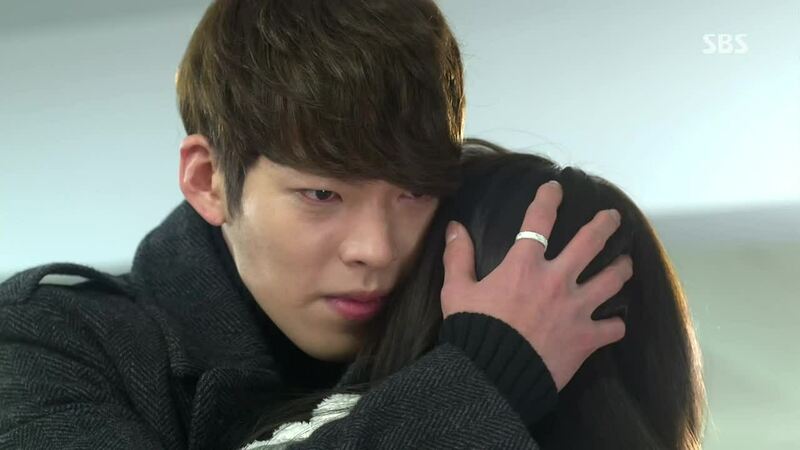 He wants to run to Eun Sang, embrace her tight like Young Do did when he first saw her, but he can’t. How could he run to her freely when he knows why she is here, why he had to search so hard and travel so far to find her? It’s the same way Eun Sang felt as she ran away from Tan, knowing the long drawn-out battle ahead in Tan’s family if she stayed. They can’t stay with each other because, right now, they can’t see anything but the trouble they cause each other by staying together. So how will they come together again? By realizing that things could actually be worse being apart. That leaving each other was not the solution. But it was a step they had to take to learn what being together really meant and for the people around them to learn that Tan and Eun Sang are better together than apart. i am really hurting from ep 14 to 17…. here in ep 17 i understand KT, because he knew he was the reason why ES in suffering, so he decided to let go of ES…. but after watching ep 18…. whew…… i cried a lot here in ep 17, really can’t help it… LMH is really a great actor, no wonder he is that famous, he is not just a PRETTY FACE but an ACTOR he is …. FIGHTING!!!! Thank you so much …I am very Impressed…I Really appreciate the Excellent performance of the whole Cast…Especially The Most Gifted Actor Lee Min Ho. (Daniela from Israel). what‘s the name of the camera/phone Rachel used when she was in the nurse‘s office?? Thank you so much…I have to admit-I’m so Grateul…I appreciate this …I’would like to receave more-this is for me like a treasure…Merry christmas.Daniela.